President Donald Trump told conservative leaders he will not back down in his ongoing fight with Democratic lawmakers over wall funding ahead of a Senate vote on the bill aimed at ending a partial government shutdown, as three participants in a Wednesday White House meeting with The Daily Caller. Trump’s latest offer to Senate Minority Leader Chuck Schumer and House Speaker Nancy Pelosi entails funding for humanitarian aid, funding for more border patrol agents, $5.7 billion in funding for a border wall and a three-year legal extension of the DACA and Temporary Protected Status (TPS) programs. Trump’s addition of the latter proposal is the latest effort to try and break a legislative logjam. The president sought to amplify the message that his offer of a three-year DACA and TPS extension was not an additional amnesty provided to illegal immigrants. Trump was warned by some participants that anything beyond the temporary extensions would approach the limits of conservative tolerance on any potential deal for 5.7 billion dollars in border wall funding. Trump tried to calm these concerns by noting that he had rejected some advisors’ counsel to cede additional protections for DACA and TPS recipients in exchange for border wall funding. The anecdote was interpreted by one participant as an assurance that he would not give further concessions to Democratic lawmakers on an issue so central to his 2016 election. 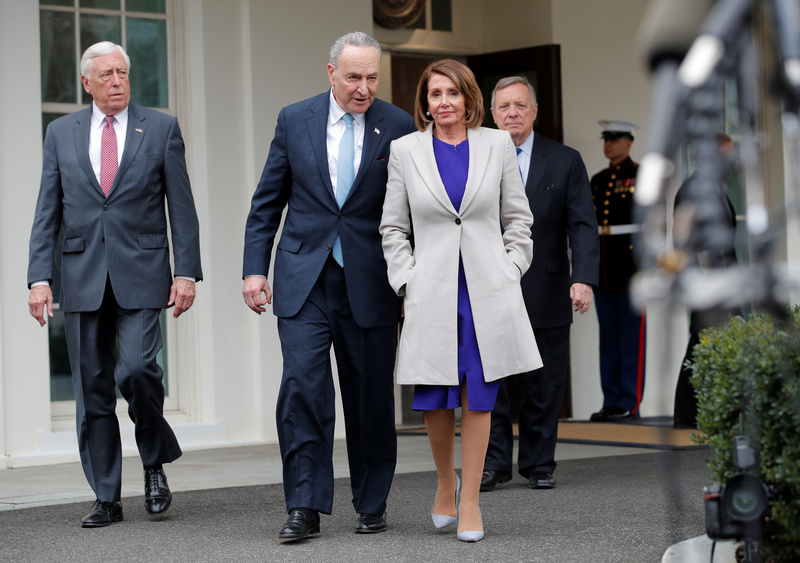 All participants noted that Trump showed no indication of caving to additional Democratic demands or an end to the government shutdown during his meeting. The shutdown has now passed the one month mark and both negotiating parties face increasing pressure with 800,000 federal workers going without pay. Trump heard a near-unanimous message from the conservative participants in the meeting that they supported his ongoing strategy to keep the government shutdown until a meaningful concession is made by Democratic lawmakers.